In 2011, Female Genital Mutilation (FGM) was banned in the Kurdistan Region, thanks to a media campaign led by anti-FGM organisations such as Wadj. According to Thomas von der Osten-Sacken, general manager of this NGO, "people now look at Kurdistan as an example" in this field. However, even though this practice is now outlawed, Wadj estimates that more than half of the mullahs still support it. The media campaign that helped lead to the 2011 ban on female genital mutilation (FGM) in the Kurdistan Region and is being looked to as an example elsewhere in the region, according to the anti-FGM activist behind the plan. Thomas von der Osten-Sacken, general manager of the German-Iraqi NGO Wadi, told Rudaw the Kurdish FGM campaign is now being copied in neighboring Iran. “People look now at Kurdistan as an example. Our Kurdish material is being copied into Farsi. The awareness material is translated and gets used officially. The Stop-FGM-Iran homepage is online,” he said. Anti-FGM groups in Iran have been able to convince the Shiite religious leader Ayatollah Ali Khamenei to change his mind on the subject, just as happened with top Shiite cleric in Iraq, Ayatollah Ali al-Sistani. “Before, they were positive and said on their websites that it was advised to do it [FGM]. Now, they say that with more information known to them, they recommend not to do it,” he said. Von der Osten-Sacken has been told this was a direct result of the successful campaign Wadi and others fought in Iraqi Kurdistan against the practice of FGM. The result was a law passed in 2011 that prohibits the act of female circumcision. “They were all watching the Kurdish TV and saw the campaign. Wadi played a big role there. Unicef now says it is one of the most successful campaigns in the region,” he said. Von der Osten-Sacken said when he started in Kurdistan 10 yours ago FGM was considered an African problem. “Our main fight here then was to get the message through that is was not,” he said. Since then, it has become clear the practice is common in large parts of Asia, the Middle East and Africa. Next to Iran, Von der Osten-Sacken mentioned Oman, Indonesia, Malaysia, India and Pakistan. Wadi has organised a number of conferences with specialists from the region to discuss and share ideas. “We did our first research in Oman and found it has huge problem: 70 percent of the women have been mutilated. In Western-Asia we see similarities: it only happens in Muslim areas and has a connection to some Islamic schools,” he said. That connection to Islamic schools was, for a time, denied in the West and Von der Osten-Sacken was criticized for pointing it out. “In the beginning we were threatened, even with the closure of our office. Someone inside Amnesty International even accused us of islamophobia, as they said FGM had nothing to do with Islam. Yet the imams here were promoting it,” he said. 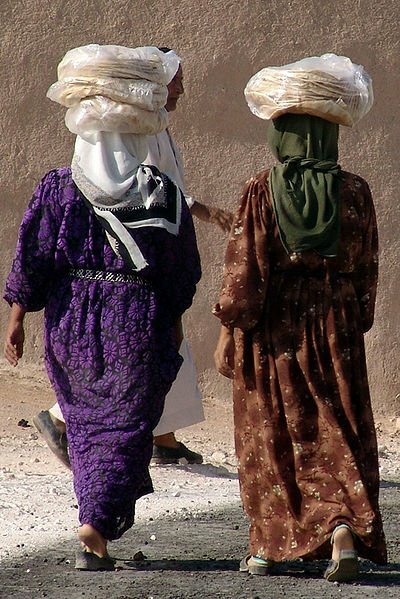 Although FGM has been prohibited in the Kurdistan region since 2011, Wadi thinks over half of the mullahs, who were at the time collecting signatures to stop the law, are still supportive of the practice. The issue is much bigger than just making sure women do not get mutilated, he added. “People have to understand we are in a crucial period of transition. It’s about sovereignty, God or the nation. For a cleric of the Shafi’i school, circumcision is obligatory for men and women that is what his laws say. The Kurdish one says it is punishable if you promote it or do it. It is the law of God against those of humans. This is the real fight for the region for the next 20 years,” he said. Wadi also works to convince midwives to stop the practice. “We could have sued a lot of midwives, but that is not the way. We make a program to retrain midwives in midwifing, a bit of first aid, advising on fertility. And we told them that if they do another cut they are violating the law and then we will sue them,” he said. Wadi wants to work on that subject and others in a special centre it plans to set up in Sulaimani. The new center on FGM and gender-based violence will cover the Kurdistan region and Iraq. It is aimed at enabling global experts’ visit and exchange of information, Von der Osten-Sacken, and added it should have a good library.